Don’t spend the weekend at home. Get out and enjoy living in Helena, Montana. Find out what’s going on around town at HelenaEvents.net. 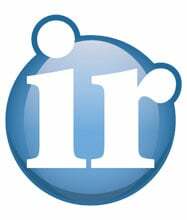 The Helena Independent Record newspaper offers the most comprehensive news, sports and entertainment in the region. With the Independent Record, you can find the best prices on all the things you need to buy and sell. Stay informed on the latest local and regional news; information on business, education, staying healthy, foods, outdoors, your favorite teams and much more! Go to http://helenair.com/subscribe for more information on how to subscribe! Powered by Independent Record, HelenaEvents.net has it’s finger on the pulse of Helena. We know the fun things to do in Helena, MT. HelenaEvents.net is available on your smartphone. Don’t want to go home yet? See what’s going on right now in Helena. Visit HelnenaEvents.net. Advertise your event on the most popular website in Helena. Always free, always in the conversation, HelenaEvents.net. Generate greater attendance at your next event. List it on HelenaEvents.net., the most read events calendar in Helena, MT. HelenaEvents.net is the source for all the fun things going on in the Helena Valley.